A few days ago I explained how I didn’t want to carry on with this blog, but today (my birthday) my mind has been changed! It’s my 21st, and I’ve had such a lovely day! (In fact I’ve had such a lovely week too!) But it was the present that my sister gave me that changed my mind – a book made up of all pictures and text from this yearly blog! It was the most amazing present ever, and took so much effort to do, and I loved it. I enjoyed looking at all the memories, and looking over things I’ve forgotten about. So here it is the blog returns. I’m going to try hard to keep it daily updated, and hopefully last until my 22nd birthday, which means you’ll see my final mayball, graduation, and hopefully more travelling amongst other things! Photoblog – GO! 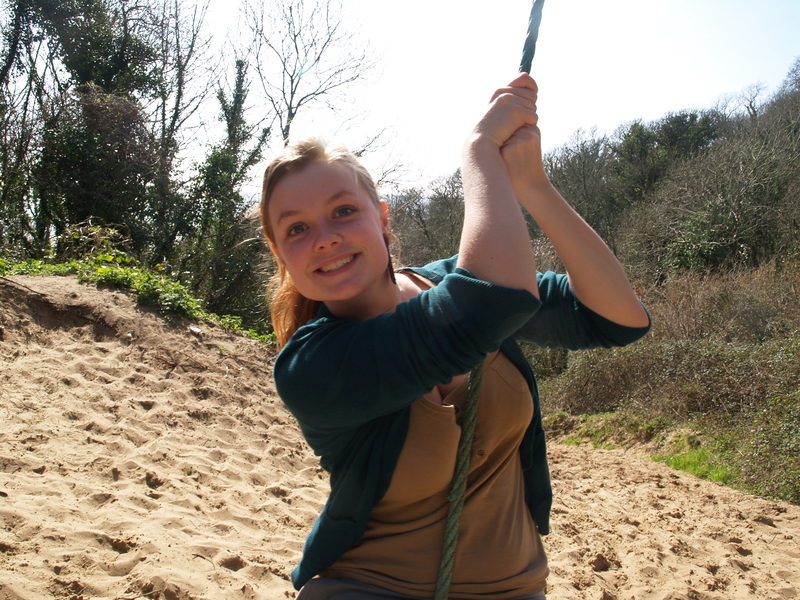 Here’s me on a rope swing we found at the beach today!